Hello beautiful destination wedding brides and grooms! Firstly congratulations on your engagements! And congratulations on considering a wedding abroad! I might be biased but I love the idea of friends and family travelling from all over to meet and discover a new place together. It adds an extra element of excitement for your guests and can make it all just a little bit more special, not to mention generally the weather is better abroad! I’m Louise French, I run a destination wedding planning and styling company called French Bague-ette (bague being French for ring!) I am based in South West France near the seaside town of Biarritz where I have lived for nearly 8 years now. 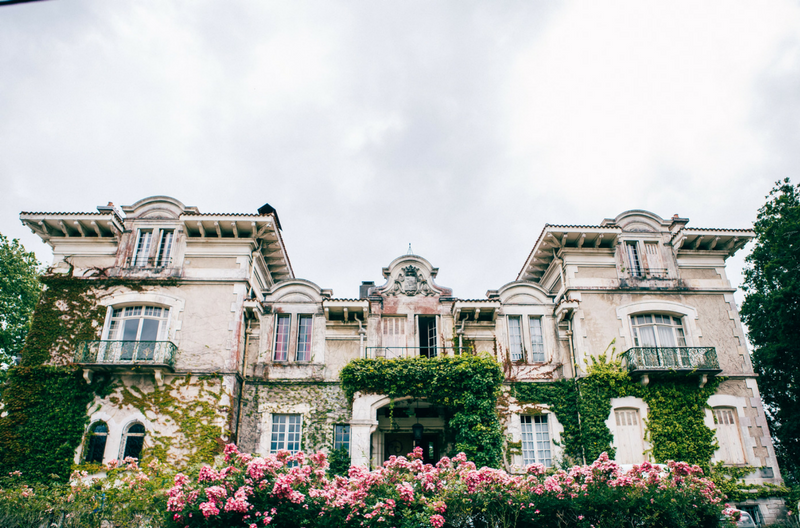 Nestled between the stunning Pyrenees mountains and the wild Atlantic Ocean, Biarritz is an awesome place for a destination wedding as with many places in France! I wanted to share with you some of my favorite venues I have been working with, hopefully this gives you some ideas to get the ball rolling on planning your destination weddings! This venue is just outside Biarritz. The chateau itself is totally enchanting with turrets and trailing ivy. The interior is beautifully preserved with a particularly spectacular staircase (great for photos!) Here you have an option for a ceremony in the ’secret garden’ and an alfresco reception with long tables under the trees. Apero/cocktails happen in front of the chateau opposite the golf course and then your guests are led through the chateau to the gardens at the back, creating anticipation and surprise for everyone! If you prefer, there is also an impressive marquee. These photos of the chateau taken by highly recommended photographer An Lalement speak for themselves! A little further north, this venue is about 1 hour from Bordeaux, I’ve just booked a wedding there for September 2019. 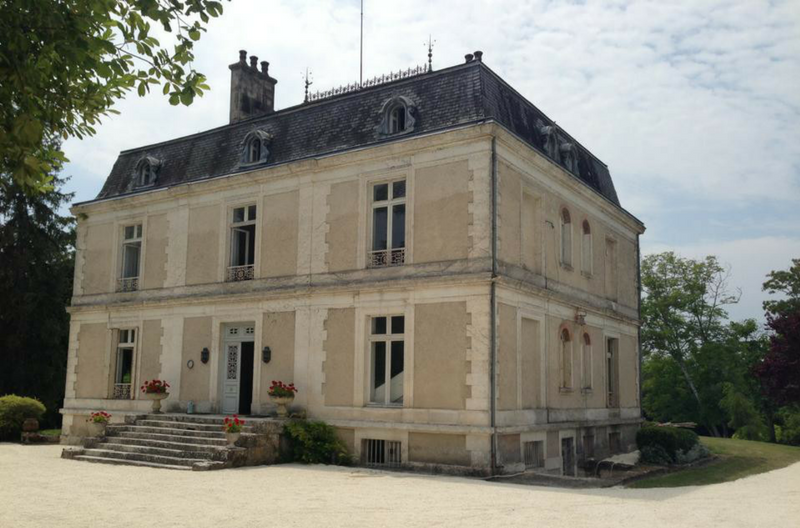 This chateau has a fantastically friendly vibe as it’s not too big or overbearing just totally stunning! At this venue there is lots of accomodation for your special guests as well as a more private gatehouse for your wedding party. It even has its own beautiful little chapel but the big bonus here is the swimming pool which could be fantastic for a day 2 brunch and pool party! The total ‘pièce de résistance’ and my current favorite has to be Gaztelur in Arcangues, just ten minutes from Biarritz. This totally stunning venue with decor selected by interior designer Marta de La Rica complete with Michelin star restaurant, fashionable boutique and breathtaking crystal glass house, even has an on site florist, Mar Lopez. Mar is a true fairy godmother when it comes to flower arrangement and also available for events outside the venue. If you’re interested in any of these venues or want to discover more options and my French supplier recommendations please don’t hesitate to get in touch via my website. I offer a range of services from A-Z wedding planning packages, wedding styling or on the day coordination. In the meantime enjoy the destination wedding and honeymoon show!